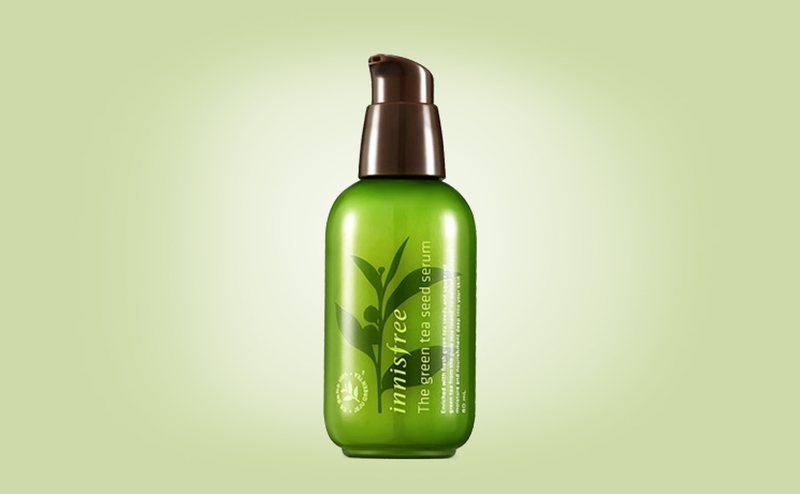 ♥ Korean skincare better than European? ♥ Korean skincare VS European skincare. Let’s compare! Is Korean skin care better than European? A’pieu Sweet Peach Sheet Mask is a Korean sheet mask that contains a whole 2000ppm peach extract which is refreshing and deeply hydrating the skin. The sheet mask also contains 2000ppm of yogurt extract that exfoliates the skin, is deeply nourishing, softening providing a healthy fresh radiance to the skin. 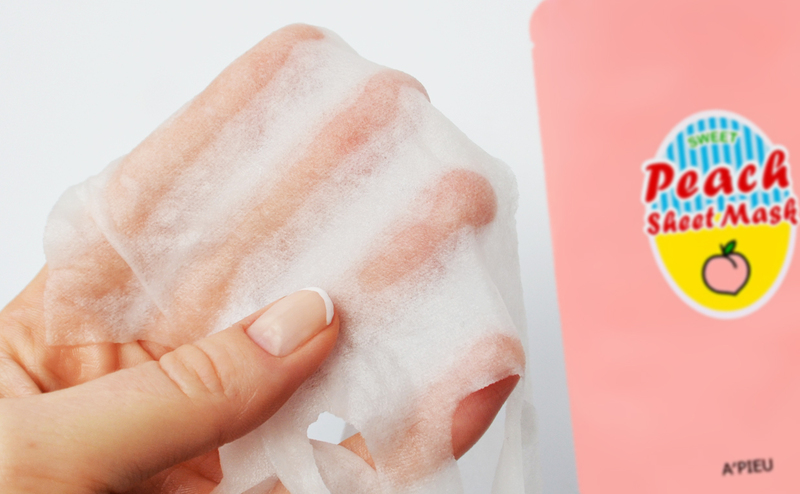 The material of A’pieu Sweet Peach Sheet Mask is soft and made of 100% natural cotton. I like A’pieu Sweet Peach Sheet Mask because it’s an incredibly refreshing sheet mask of good quality that is also very cheap and affordable. I just love the mild sweet scent of peach that doesn’t get heavy or too overwhelming at all, just fresh. A’pieu Sweet Peach Sheet Mask is an incredibly soft and gentle cotton-like white sheet mask of 100% pure natural cotton. 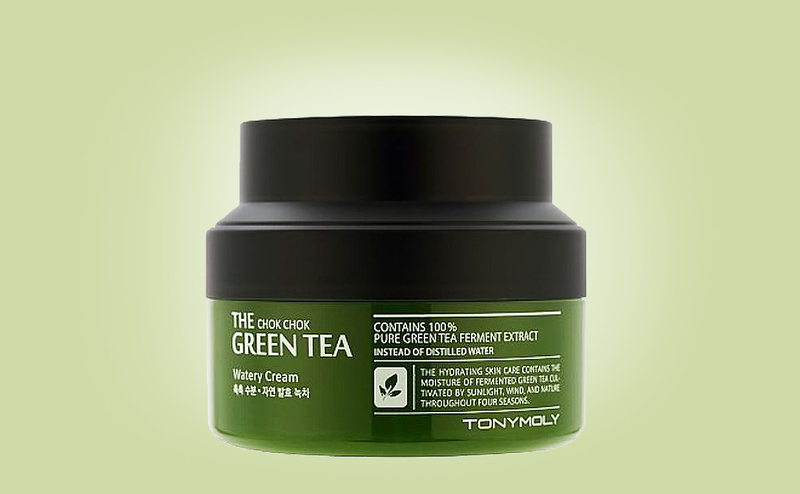 The material of the sheet mask is thin and the mask is completely drenched in lovely transparent, watery essence. 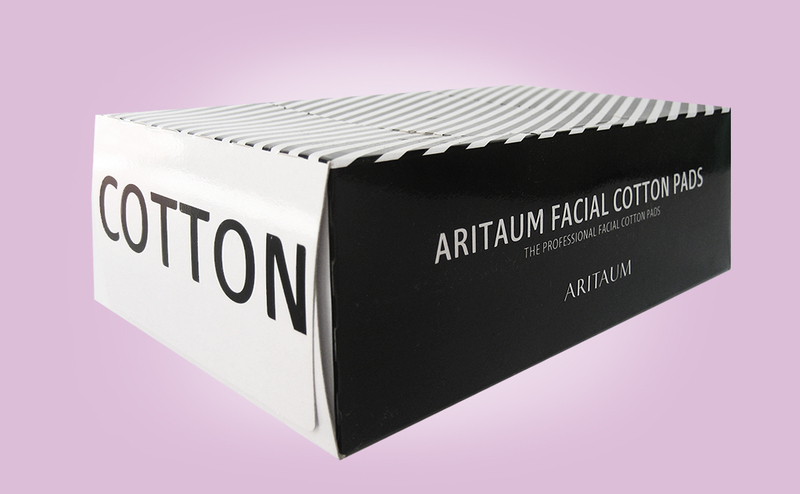 Wonderful relaxing, cooling and hydrating feeling on the skin. Both me with dry mature skin and my sister with young combination acne prone skin love this sheet mask. 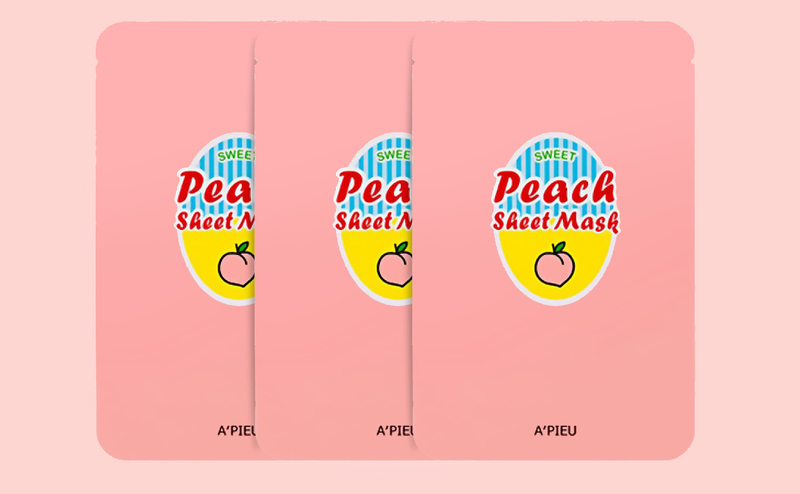 A’pieu Sweet Peach Sheet Mask is all about pure moisture and therefore suitable for most skin types. 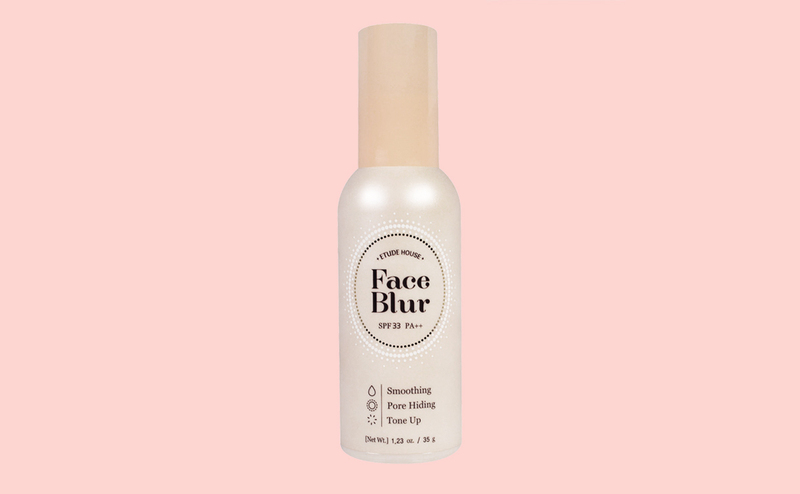 Whether you have dry skin, combination skin or oily skin. 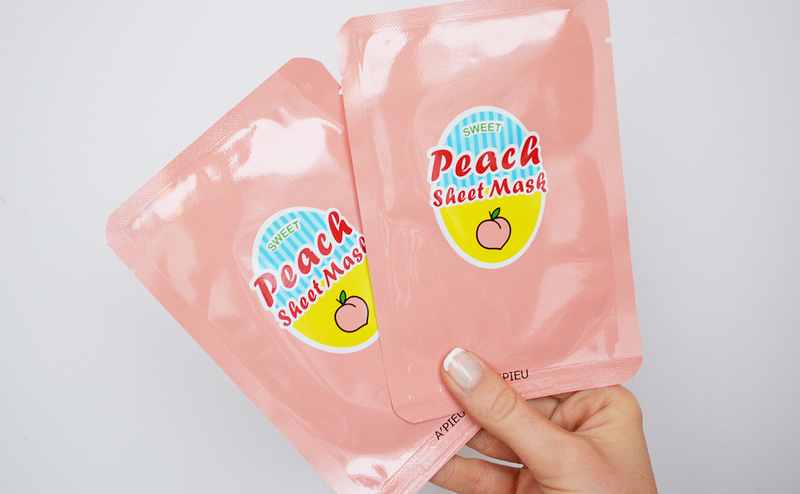 A’pieu Sweet Peach Sheet Mask only costs from 1.50 / pc which is crazy cheap in my opinion! 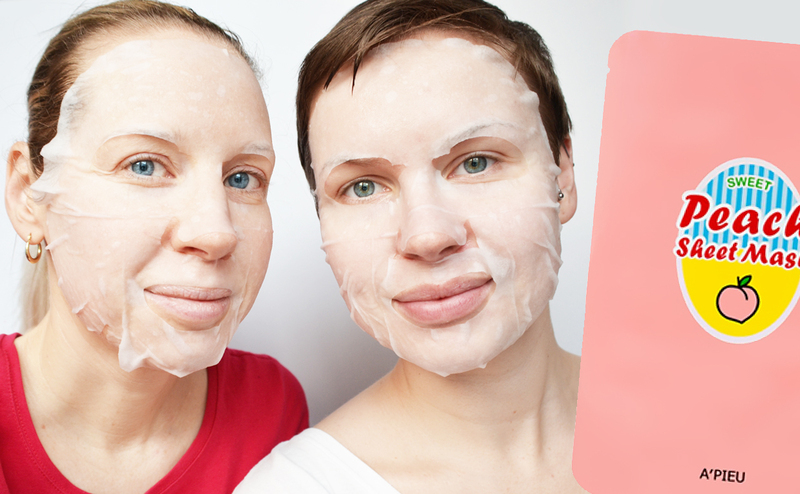 Read the full review of A’pieu Sweet Peach Sheet Mask here. Best price with free shipping directly from South Korea available from iamlove-shop.